Neymar Sr has quashed talk of his son leaving Paris Saint-Germain, claiming could stay at the Parc des Princes. Neymar has a future at Paris Saint-Germain, according to his agent and father. 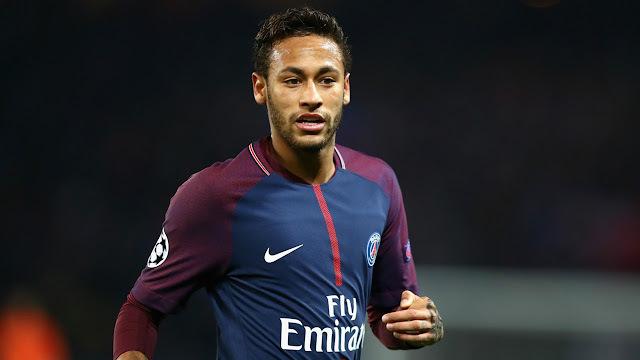 The Brazil star, who only joined PSG last year, has been widely linked with a return to Spain to join either former club Barcelona or rivals Real Madrid. But amid reports that PSG president Nasser Al-Khelaifi had been forced into action, required to visit Neymar at home to address the rumoured interest, the player's father has now responded. Speaking as Al-Khelaifi checked on Neymar's fitness - the forward currently out with a fractured foot - and visited his foundation, Neymar Sr said: "Neymar already has a future at PSG. He has a present at PSG." Al-Khelaifi, no doubt boosted by the comments, is now hopeful to see Neymar back in a PSG shirt before the end of the season and the World Cup. "He is happy, very motivated and enthusiastic to come back as soon as possible," he said. "He's doing his best to come back soon. We hope he'll be back to play cup and league games this season." Sergio Busquets had earlier refused to discuss the possibility of Neymar returning to Barcelona after team-mates Ivan Rakitic and Philippe Coutinho gave a potential move their support. "[Neymar] has not told me he wants to return," Busquets said. "I do not know what he will do. You have to ask him about his future."